Christmas party-goers are the focus of a new police campaign to stay safe on a night out. Cleveland Police, alongside Durham and Northumbria forces are handing out advice cards with space for emergency contact details. Police advise revellers to not get too drunk, keep some money separate in case you lose your purse or wallet, stay with your friends and book a taxi home. 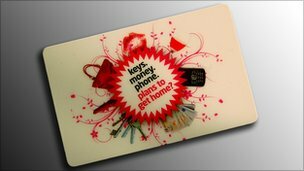 The campaign is part of an operation to encourage people to plan ahead.